There are Giant Teddy Bears Riding the Subway. They Seem Friendly. With traffic congestion a nightmare, the subway might be the way to get around Chengdu, China. 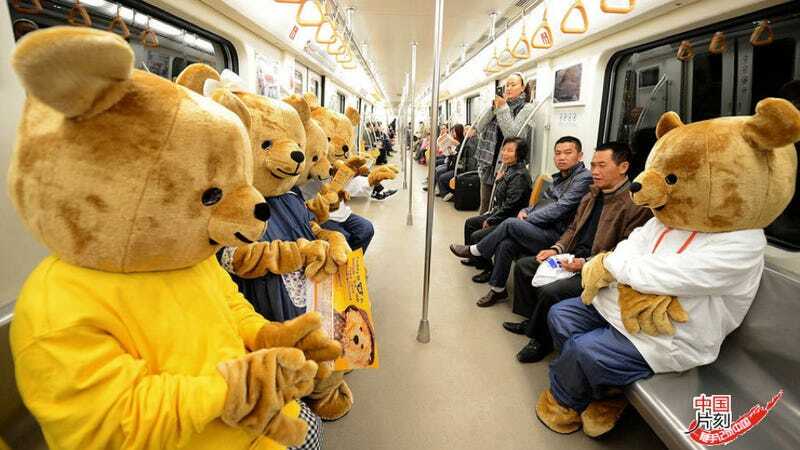 According to and Mop and New China (via MIC), the city recently had a handful of bears ride the rails to promote taking the subway and the soon-to-open teddy bear museum in Chengdu.